The parents of Madeleine McCann have told the BBC they are frustrated there is no joint British and Portuguese police inquiry into her disappearance. Madeleine's bedroom at the family home in Rothley, Leicestershire, has been kept exactly as it was when she went missing, her mother said. "She might want to change it a bit now she's a bit older," Mrs McCann said. "It's absolutely the same." Mrs McCann's visits to Praia da Luz take place once or twice a year, with the most recent being in April 2013. "That's obviously the last place we were with Madeleine," she said. "I'll still walk those streets and I guess try to look for answers. It helps me, most of the time." She admitted she went "quietly" so as not to generate publicity which some local people "resent". A high-profile campaign run by the McCanns and the Portuguese police investigation had so far failed to locate the missing child. Mrs McCann said she was particularly frustrated that police in Portugal had so far ruled out a joint inquiry with their British counterparts. "As a parent, I find the slowness of action in Portugal really hard to take. I find it quite distressing," she said. "Even though we're seven years down the line, waiting weeks or months, particularly for letters of request to be processed basically... it is frustrating. "I suppose I do struggle with the fact. Please work together." Mrs McCann said she had not been given a reason why a joint team had not been set up. "To us, it makes sense that the two police forces should work together, to have a more streamlined approach to avoid duplication and basically to progress the investigation at a faster pace," she added. Her husband Gerry said: "What is very, very clear is that there are lots of lines of inquiry and a lot of further work needs to be done in Portugal. "The Met can only do so much with the information that they have." Mr McCann said it was a "big step forward" that the Portuguese investigation had been reopened but admitted the bureaucratic process was causing delays. "The concern that we have, and I think also that the Metropolitan Police have, is that at the minute, there's almost parallel investigations going on, which doesn't make sense," said Mr McCann. "We're not quite sure why there's resistance to the joint investigation team, because clearly resources in Portugal is an issue and this would be one mechanism by which they could have additional funding." 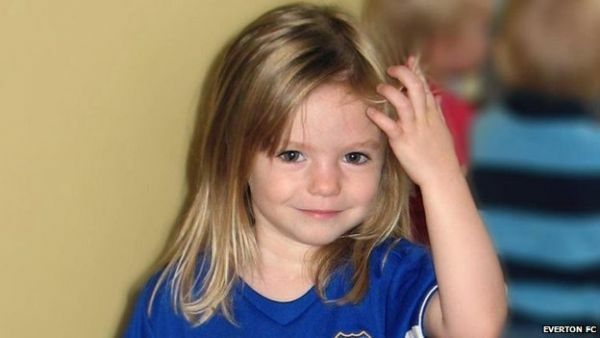 The seventh anniversary of the day Madeleine went missing from the McCann's holiday apartment will be marked with a small gathering in their home village. They said they planned to celebrate Madeleine's 11th birthday later this month with their other two children, nine-year-old twins Sean and Amelie. Mr McCann said: "It's really hard. She's not there. It's by far the toughest day of our year, every year." The family still has a birthday cake for Madeleine every year, said Mrs McCann. She added: "You think - 11, she's due to start secondary school in September. Which is just.... It's a long time." Madeleine's younger brother and sister were described by their mother as "great kids". "They really are wonderful," said Mrs McCann. "They've grown up with a big sister not being there. "She's talked about frequently... we're a family of five, they've got an elder sister and they've handled it incredibly well." Her husband added that the pair are "normal, happy nine-year-olds." The best-case scenario, said Mr McCann, would be if Madeleine had been "taken by someone who wanted a child" and has been "loved and cared for". High-profile cases of missing women found years after they were taken, including Amanda Berry, Gina DeJesus and Michelle Knight who were rescued from a house in Ohio last year, have given them hope, the McCanns said. "If you're one of those people, then statistics mean nothing." said Mrs McCann. "It is real hope. We're not blinkered. "We know what the statistics say. But we also know about all of these cases. "For each one of those children, now women, that have been found, statistics would have said they were dead." Asked for a message for Madeleine, her mother said: "We love you Madeleine. We miss you every day, as we did that very first day, and we're waiting for you. "We're never going to give up. We'll do whatever we can to find you." Presenter – Seven years ago while on holiday with her family, three-year-old Madeleine McCann disappeared from an apartment in Praia da Luz in the Algarve. Today on the eve of the anniversary her parents gave an emotional interview to the BBC’s Fiona Bruce. They spoke of their frustration that the Portuguese Police have not agreed to a joint investigation with Scotland Yard. They also talked of their sadness as their daughter’s birthday approaches, a milestone that doesn’t get any easier for them. 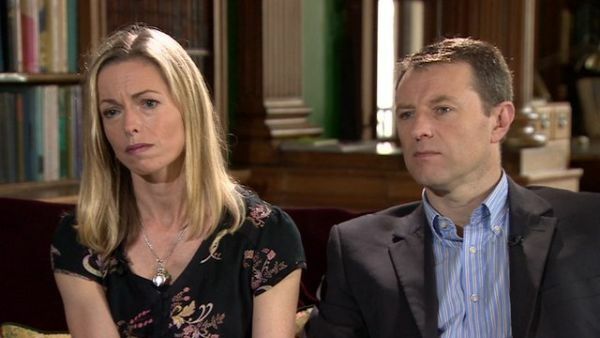 Kate McCann – To us it makes sense that the two police forces should work together. I mean to have a more streamlined approach, to avoid duplication and basically to progress the investigation at a faster pace. I’m not sure myself and I haven’t been given a reason as to why a joint investigation team has been knocked back. Gerry McCann – The concern that we have and I think that the Metropolitan Police also have is that at the minute there’s almost a parallel investigation going on which just doesn’t make sense. Fiona Bruce – Would you ever go back? I mean I remember going to Praia da Luz along with so much of the media around the time when Madeleine was first taken. Kate McCann – I mean I do go back. I mean I haven’t been since last April but I do go back for personal reasons. Fiona Bruce – And I guess for you it’s a chance to be close to her. Is that how it feels. Kate McCann – It is. It’s obviously the last place we were with Madeleine and I’ll still walk those streets and I guess try and look for answers, or you know, so… It helps me, most of the time. Fiona Bruce – It’s the seventh anniversary on Saturday. How will you mark that? Kate McCann – Well usually it’s very quietly. We usually have a small gathering in the village which we’ve done for the last so many years. Erm, we’ve always said it’s actually Madeleine’s birthday which follows soon after really which is a more difficult day. Fiona Bruce – And she would have been eleven. Kate McCann – Eleven, yeah! Fiona Bruce – I mean how do you mark that? How do you mark that for a child who’s not there? Gerry McCann – It’s hard. It’s really hard. It’s not ?? ?… She’s not there. You should be celebrating. It’s by the toughest day of our year I think. Every year. Fiona Bruce – And you find it just as hard every year? Kate McCann – Oh yeah, definitely. You know and you think, eleven and, you know, she’s due to start secondary school in September which is just, you know… It’s a long time. Fiona Bruce – What’s your best hope of where Madeleine is now because you’ve always maintained she could be alive? Gerry McCann – I suppose the scenario, and it’s not been ruled out, is that Madeleine was taken by someone who wanted a child and that she has been loved and cared for. That’s I think the best scenario but, of course, there are many others. Fiona Bruce – It’s a long shot, but if Madeleine is alive, if she could hear you, what would you say to her? Kate McCann – We love you Madeleine. We miss you every day as we did that very first day and we’re waiting for you. We’re never going to give up. We’ll do whatever we can to find you.